Amrita SeRVe held its first medical clinic in Indpur, Himachal Pradesh. Doctors visited the village and cared for 181 patients. Full medical access is limited in Indpur, as there is only a pharmacist in the village. Five kilometres away there is a centre where patients can visit doctors for preliminary diagnosis and minor health issues. But for serious treatment and testing, the nearest facilities are in Pathankot, Punjab. Amrita SeRVe’s medical camp saw the joining together of many people to make it all happen. The four doctors were Dr. Subhash Thakur (MBBS, MD); Dr. Vikash Thakur (MBBS); Dr. Anshu Sharma (MBBS) and Dr. Anil Garg (MBBS). 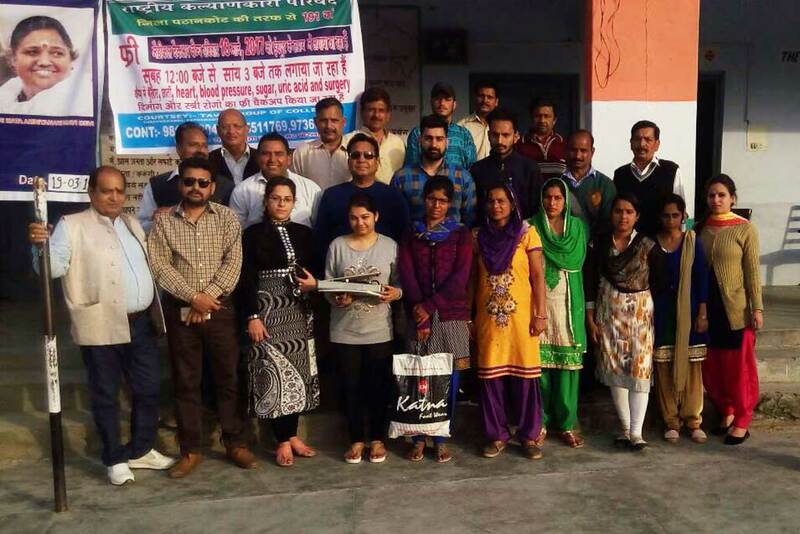 On behalf of the village, Indpur’s Village President, Somraj, welcomed the team and Kuldeep Sharma gladly provided the space for the camp to take place. Meanwhile Amrita CREATE, AMMACHI Labs, and Amrita SeRVe all joined hands to organise. This included Sanjeev Sharma, the zonal coordinator for Amrita CREATE and two teachers—Madhu Bala and Tamanna. With AMMACHI Labs, Harjinder, the local facilitator, and Nidhi also contributed their time and effort.